#FemParl IV: Inspiring action from the Middle East to South and Southeast Asia! Women leaders are building a more equal future, from Cairo to Beirut to Delhi! 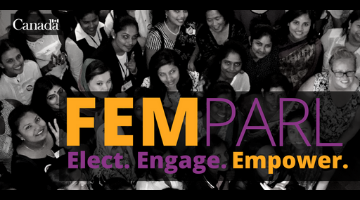 Back for its fourth annual year, #FemParl is bigger than ever, spanning two regions, three countries and seven days! Young female parliamentarians and women leaders from across the Middle East and North Africa (MENA) will gather in Cairo for two days of workshops and discussions focused on communications, women in governance and inclusive economic growth. The delegates will then travel to Beirut for another two days that will focus on women’s empowerment and gender equality, as well as women’s role in peace and security. After a week in the Middle East and North Africa, #FemParl returns to Delhi to empower women leaders from across South and Southeast Asia to challenge social norms, overcome traditional barriers and influence decision makers in business and politics. In many countries across the Middle East and North Africa, including Egypt, Algeria, Tunisia, Jordan and Morocco, the current percentages of female representation in parliament are the highest in their histories. Although there is a long tradition of women’s movements in many countries in the MENA region, there has been a greater focus on women’s empowerment and political engagement in recent years. All across the region, we are seeing the emergence of a new generation of young, dynamic female leaders taking a greater role in the political sphere. #FemParl MENA aims to strengthen and build on the existing skills of participants to actively contribute to and lead inclusive political decision-making and policy development at the national, regional and international levels. 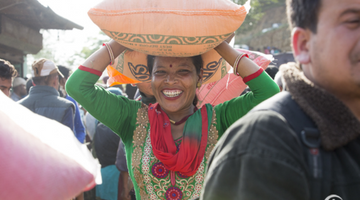 Women in South and Southeast Asia face strict patriarchal values and social norms. A widely held preference for sons means that discriminatory practices begin even before birth. 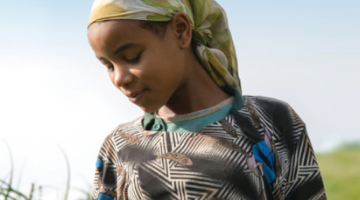 They affect every aspect of a girl’s future from education to health to marriage and beyond. Fewer than 20% of parliamentarians in South Asia are women according to UN Women, limiting their role in decision-making and leadership. While some progress has been made in the areas of education and life expectancy, South Asia has one of the worst gender gaps in the world, ranked 7th out of 8 regions by the World Economic Forum. Safaath Ahmed, founder of the youth-led organization Women & Democracy, met with Shamshad Akhtar of the United Nations Economic and Social Commission for Asia and the Pacific during #FemParl III. In 2016 Canadian embassies and high commissions did something different, they created #FemParl. Recognizing the need to encourage and empower young women to be leaders in the political sphere, and drive positive change for women’s health, education and economic opportunities, they designed a multi-day event. #FemParl brings together passionate female leaders from across a region to learn, network and be inspired to create a more gender equal world. From leadership skills to effective advocacy tactics to networking with local diplomats, non-profit organizations and United Nations officials, #FemParl is an opportunity for women to learn new skills and build their professional network. Empowering women and girls is key to building a more peaceful, inclusive and prosperous world. That’s why it’s at the core of Canada’s Feminist International Assistance Policy, and all of Canada’s work abroad. Since its start in 2016, #FemParl has become a recognized name for empowering women and encouraging participation and leadership in politics across South Asia. #FemParl delegates have gone on to further gender equality in their communities and countries. Many delegates maintain close relationships with those they met at the workshops and discussions, and mentor future #FemParl delegates. Now that #FemParl has crossed the Arabian Sea, we look forward to learning about gender equality from this year’s group of women delegates in the Middle East and North Africa as well as South and Southeast Asia. We can’t wait to see what they will accomplish in the years to come!